7/1/17 - 8/1/17 ~ . With all your support and motivation we have successfully completed the 2016-17 academic year at GBE school, Balkampet. 7. Conducted exam and appreciated the best students of the year on the last day of the school. 8. 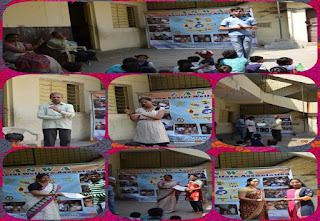 Taught English, telugu, songs, moral stories etc. Note: Due to Diwali, Quarterly exams and Guru Nanak Jayanti, we did not conducted session on 31/10/2016 and 14/11/2016. Taken attendance and seating arrangement. Asked the reason for not completing the given task to the student. The children’s who completed the task, showed and explained about the thing which they prepared. 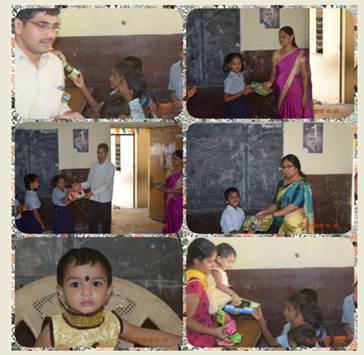 Distributed gifts to all the children’s who prepared the things. Conducted exam for Achulu, Hallulu,English Easy words dictation. Few children’s prepared charts related to given task. We explained about directions and boundaries of India. We told a story and also made the children’s to tell the story, of which 6 to 7 children’s tried to tell the story. 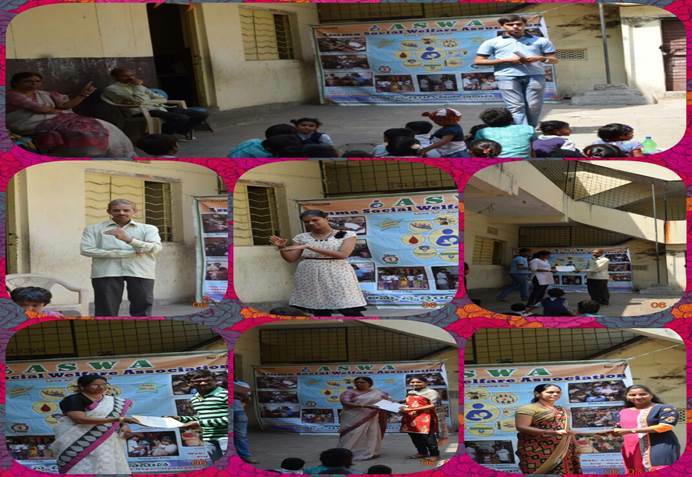 I want to thank all the volunteers who participated and helped us in conducting the session successfully. Note: Pics of these events will be posted soon. Please do join us and help us in giving the right direction to the children’s future. For more details please contact me on -8885290990. I have successfully completed regular weekly session at GBE School, Balkampet from 9am to 11:00am. 1.Taken attendance and seating arrangement. 2. Asked the reason for not completing the given task to the student. 3. 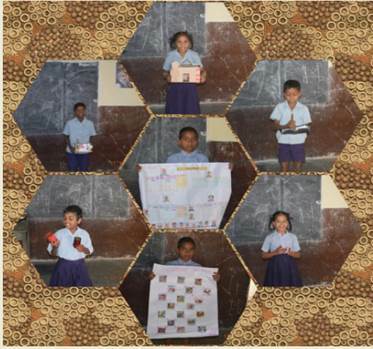 The children's who completed the task, showed and explained about the thing which they prepared. 4. 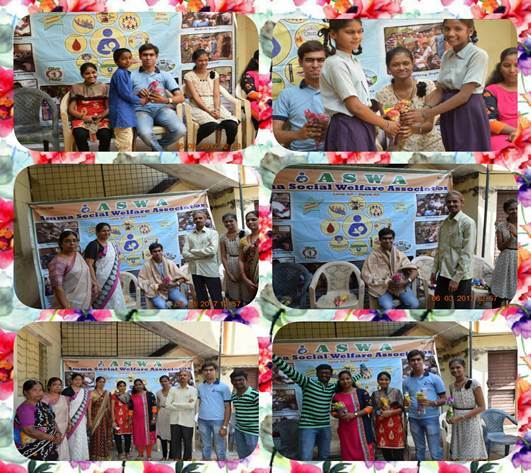 School teachers and HM selected three best out of that and distributed gifts to all the children's who prepared the things. At 11am Manoj with their family members came to school celebrated his daughter birthday by distributing compass box, biscuits and chocolates.My heartful thanks to them. Please give your valuable suggestion in this regard. For more details please contact me on- 8885290990. We have successfully completed our regular weekly session at GBES school, Balkampet from 9am to 11:30 on 26/09/2016. Please find the highlights of the session. 1. Distributed around 35plate Idlis to around 45childrens. 3. Today we have combined all the classes. 4.We explained about freedom fighters and how to write about them in a tabular form and paragraph form. 6. We have also explained about confidence. I want to thank Shyam tiffins for providing idlis and all the volunteers who participated today. For more details please contact me on- 8885290990. We have successfully completed our regular weekly session at GBES school, Balkampet from 9am to 11:30. 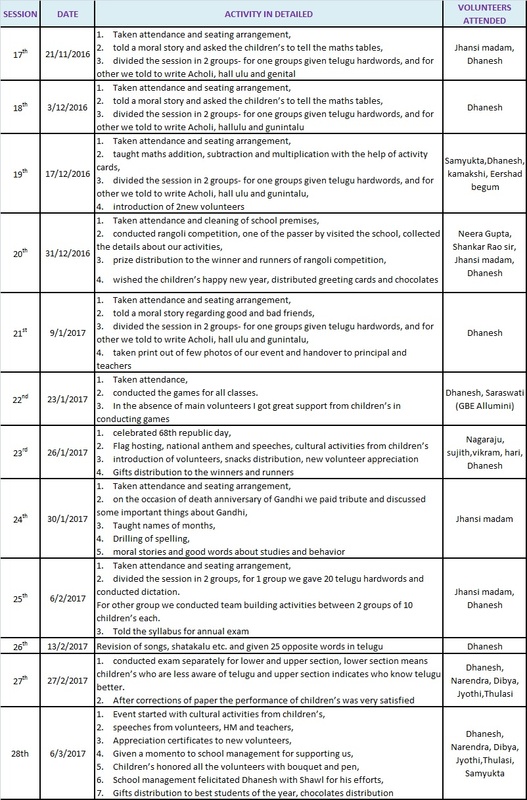 Please find the highlights of the session conducted on 12/9/2016 and 19/9/2016 There was no classes on 05/09/2016 Due to Vinayaka Chavithi. Distributed 30plates Upma and 15plates Idlis to around 45 children's. Taken attendance and made sitting arrangements. One children wrote about constitution and its formation which we read and explained in d class. Explained about 8directions( Ashta dikkulu) in d form of diagram. b. Preparing best out of waste which excludes paper and plastic covers. This is to be done by GBES Team also. c. Gave 5 topics. Childrens have to select any one topic write about that topic in few lines, collect and paste d picture in one chart. 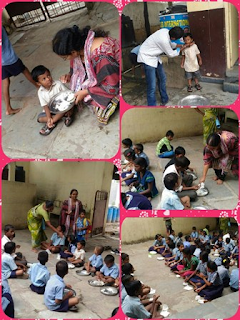 We have distributed around 180 Idlis to the children's. 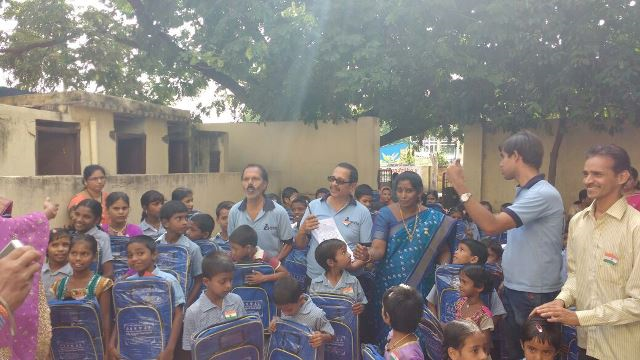 Distributed the school bags to the children's who were not present on 15th august. Taken attendance and divided the session. In swami Vivekananda, we taught Achulu, Hallulu, Sarala padalu by showing activity cards and making the children to write word on d board. Also corrected their mistakes. This session was taken by shankar rao sir. In Mother Theresa and mahatma Gandhi, I gave a topic as Food. Asked them various question such as what is food, types of food, importance of nutritious food, disadvantages of junk food etc. This session was conducted by Me. Finally we have shown video related to good and bad friends. This breakfast was sponsored by Sravanthi. I want to thank shyam tiffin's for providing Idlis and also I want to thank Shankar Rao sir for participating and helping me in conducting session effectively. 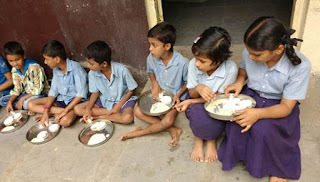 On the occasion of birthday of Vivek (Jhansi madam), She sponsored the breakfast in GBE school. Today Sarat and Naveen visited and interacted with the children during breakfast. 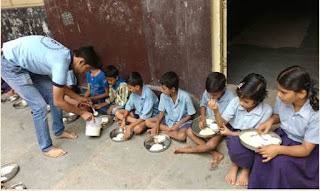 We distributed 160 idlis to around 45childrens.They are very happy with d taste which was prepared by Syam tiffin beside srinivas community hall. Jhansi madam taken session Swami Vivekananda class where she taught achulu,hallulu. I have taken session for Mother Theresa and mahatma Gandhi where I checked homework of previous session. I have explained about self-introduction in English and Telugu. Made them to write in d notes and also told them to give their self-introduction. Few of them gave self-introduction only in Telugu and few of them in both Telugu and in English. I want to thank Naveen and Sarat for their visit in school. I also want to thank Syam tiffin center who prepared Idlis for us. Last but not the least I want to thank Jhansi Madam who helped me in conducting session successfully. 3. We divided the session. 4. In mahatma Gandhi and mother Theresa, we told them to write English alphabets, conducted dictation for 25 words having A to Z corrected and explained their mistakes and same gave as home work. I want to thank my parents who prepared the Upma for us. I also want to thank all the volunteers who attended the session and helped me conducting session successfully. Today ASWA celebrated independence day with GBES School children and staff in a grand manner. A memorable day. 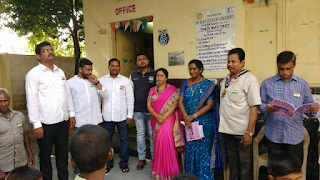 Balkampet Corporator Mrs.Sesha Kumari along with her support staff attended the function. At the start Shankar Rao Sir explained about different ASWA activities in the presence of invitees and others which was later on appreciated by the Corporator. 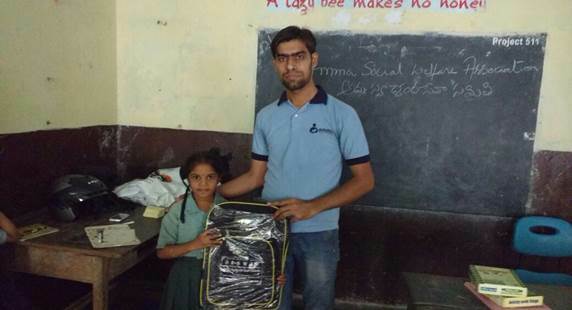 After which ASWA school bags with pencil, pen, eraser etc. were distributed by the corporator. She appreciated our efforts in helping the children in all aspects and advised the school to take our help and also assist us. Vasavi club and youth for seva also participated in the celebrations. Snacks were given to the student and participants. Some of the parents who were present on the occasion appreciated ASWA efforts. A real celebration enjoyed by all. There were no classes on 18/7/2016 and 25/7/2016 Due to Secunderabad and Balkampet Bonalu. 1. Taken attendance. Total 33 students were present out of 43 childrens. 2.Conducted exam for Sarala Padalu- 150 words. 4. Conducted 3 games for all 5 classes. 5. From 2:30 pm parents of childrens were coming to school, so we stayed for more half an hr. and had a discussion with them. Taken attendance and 39 children present out of 45. Asked the reason for not coming d school for irregular students. Ganapati sir taught easy way of doing subtraction. Samyukta taught a mathematics puzzle to form a word. Divided the session into two groups for teaching basic subject. Note: From this session we have changed the name of home work to practice work. We also gave practice work to all the children to complete copy writing books which we gave last month. Taken attendance and total 26 childrens came. 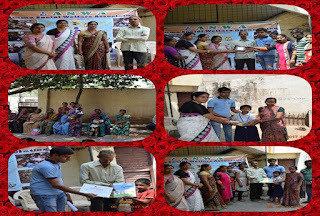 This week we celebrated as "HARITHA HARAM" Day in GBES. Santosh told a moral story of "Akbar-birbal"
Shown a video related to "Helping others"
Session for 15 min was conducted by HM and Teachers to explained about Haritha-Haram and supported teachers for conducting Haritha-Haram rally. 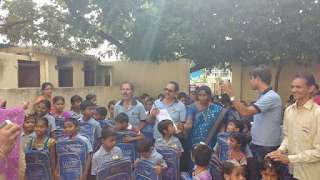 Shantaram Sir told a moral story from "Adbhutha Phalalu"